I've been pleased to see the re-emergence of local grain economies across the United States, including here in Oregon. Farmers are growing grains—like Red Fife, spelt, and kamut—that haven't been grown here for a long, long time, and they can't seem to produce enough for local bakers, who are creating magnificent loaves that sell out quickly. As I was doing some digging for another story, I stumbled upon this: farmer Tom Hunton at Camas Country Mill is growing teff—and lots of it. It turns out the Ethiopian diaspora in this country has more than doubled over the past 12 years, and they're snapping up all the U.S.-grown teff they can buy. Grape Expectations: why are big players in the wine industry buying up vineyards in Oregon's Willamette Valley? This story appears in the October issue of Oregon Business Magazine. Back in 1989, the couple had bought a 32-acre property called Resonance, knowing that it was an exceptional site for growing pinot noir grapes. In the hands of local winemakers such as Peter Rosback at Sineann and Brian Marcy at Big Table Farm, Resonance fruit consistently made some of the best wines coming out of the valley, according to reviews in respected publications such as International Wine Cellar. So it was with mixed emotions that Kevin and wife Carla decided to part with their property, selling it to the illustrious Burgundian winery Maison Louis Jadot. (The sale price was not disclosed, but insiders say it broke a record for per-acre price for a vineyard in Oregon.) Setting the international wine world atwitter, legendary Jadot winemaker Jacques Lardière came out of retirement to run the company’s Oregon outpost. “It was hard to let go of Resonance,” Kevin says. But with the money they made from the sale, the Chambers were able to buy their first stick-built home—on a Christmas tree farm in the Eola-Amity Hills. While modest in size—the property has 20 acres of planted vineyards—this Resonance sale is just one of a half dozen recent Willamette Valley real estate transactions that signals the region’s growing appeal on the international wine stage. This trend is being driven by a handful of factors: the drought in California, comparatively low land prices in the Willamette Valley and the aging of Oregon winemakers. But the central reason large, out-of-state players are investing in the Willamette Valley is consumer demand for Oregon pinot noir. “There are not so many places outside Burgundy where pinot noir is known, and Oregon is one of them,” says Thibault Gagey, deputy general manager of Jadot, referring to the company’s decision to purchase its first vineyard outside of Burgundy in Yamhill-Carlton. 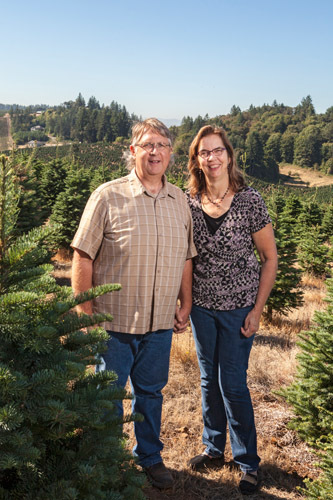 The Oregon wine industry has come a long way since 1965, when David and Diana Lett planted the first pinot noir cuttings in the Willamette Valley. The region achieved international acclaim in 1979 — when the Letts’ Eyrie pinot noir came in third place at a blind tasting of some of the world’s finest pinots in Paris. 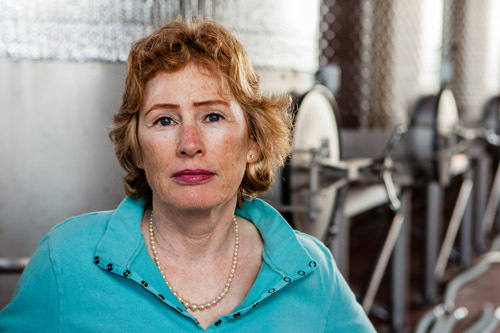 Burgundian wine producer Robert Drouhin was so impressed that he sent his daughter Véronique to Oregon to work the 1986 harvest with three Oregon winemakers. In 1987 Drouhin purchased 225 acres in the Dundee Hills, making Domaine Drouhin the first French firm to plant roots in the Willamette Valley. By all accounts, the buying spree over the past two years is unprecedented. A year ago, Jackson Family Wines in Santa Rosa, California, bought 320 acres of vineyards in both the Eola-Amity Hills and the Yamhill-Carlton wine regions. In May 2013, Seattle’s Precept Wine, the largest privately owned wine company in the Northwest, bought the 30-acre Yamhela Vineyard. In April California-based Foley Family Wines acquired the Four Graces, which included 54 acres in the Dundee Hills and 40 acres in Yamhill-Carlton. Sommelier Larry Stone, former president of Evening Land Vineyards, just bought a vineyard in the Eola-Amity Hills and has planted 66 acres. In all cases, neither side would disclose sale prices. But Peter Bouman, the broker at Oregon Vineyard Property, says the recent range for planted acres has been between $45,000 and $60,000 an acre. Private equity firms such as San Francisco-based Bacchus Capital Management have also made strategic investments in the valley. 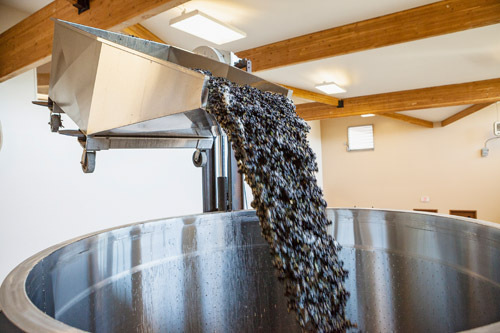 Bacchus has made debt and equity investments in Wine by Joe, one of the largest producers in Oregon, and in May they bought Panther Creek winery outright. Then there are the outsiders who have been working and living here so long they are practically insiders. Domaine Drouhin staked its claim here 27 years ago. Late last year, they purchased the 122-acre Roserock Vineyard in the Eola-Amity Hills. This past March, pioneering Oregon winery Elk Cove bought the Goodrich Road Vineyard in Yamhill-Carlton, which has 21 acres of vineyard. Wine-industry brokers say this is just the beginning. “The French are coming. And they’re going to keep coming,” says Bouman, who conducted the Jadot sale. However, some also expressed anxiety about skyrocketing grape and real estate prices. Many winemakers don’t actually own their own vineyards, so these “land grabs” are taking thousands of acres of grapes off the market, causing a dearth of grapes and record-high prices. The average price for Oregon pinot noir grapes in 2012 was $2,738 per ton, a 20.6% increase over 2011. And though that figure dipped slightly in 2013, the price of North Willamette Valley pinot noir grapes — the most highly prized — were $2,819 a ton. As a result, winemakers who don’t own their own vineyards are being priced out of top-quality grapes. Oregonians have long been sensitive to encroachment from outsiders. Today’s influx of well-heeled vintners from California, France and elsewhere echoes the recent migration of professionals from cities like Brooklyn and L.A. to Portland. Will the vintners, like these urban escapees seeking a greener, more balanced lifestyle, drive up real estate prices — not to mention bottle prices — in the Willamette Valley? A perfect storm of factors has led to this moment. First, a bunch of vineyard owners are reaching mature vintages themselves — and are ready to cash in. “They’re 60, pushing 70, and need to retire,” notes Bouman, who has four vineyards for sale, including the 70-acre Eola Springs Vineyard in the Eola-Amity Hills, listed at $2.5 million. The historic drought in California is also much worse than winemakers anticipated. Every week headlines proclaim record-low rainfalls. As a result, vineyard managers are predicting extremely low yields. When people ask Hugh Reimers, chief operating officer of Jackson Family Wines, why the company bought land in Oregon, he jokes, “Well, we were worried about global warming.” But Reimers, who grew up in Australia, says that’s tongue in cheek. 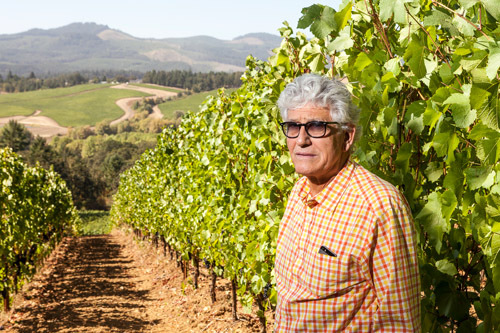 The wine behemoth — which owns vineyards in Chile, Australia, France and Italy — had been eyeing Oregon for a long time, he says. So when the California Public Employees’ Retirement System (CalPERS) decided to sell off its vineyard investments, putting more than 500 vineyard acres in Oregon on the market in 2013, Jackson Family Wines snapped two of them up. In addition to buying Gran Moraine in Yamhill-Carlton and Zena Crown in west Salem, the company bought Soléna Estate, a 35-acre vineyard, and Maple Grove, a big tract of land near Monmouth, where the company is planting 100 acres of vineyard. “There are few places in the world where you can grow world-class pinot noir,” Reimers says, explaining why the company purchased 1,380 land acres in Oregon. But it didn’t hurt that real estate here is far cheaper than in other fashionable wine-growing regions. “And I think Willamette Valley vineyard prices will continue to appreciate. “says Reimers. “So it was a good real estate investment for us, as well as investment in quality.” While prime vineyards in Napa can go for as high as $300,000 an acre, $50,000 an acre is more typical in the Willamette Valley. According to Gagey, Jadot’s purchase of Resonance Vineyard had more to do with the valley’s high-quality pinot noir than low land prices. “We went there two times, we tried the wines, we liked the wines,” says Gagey of his visits to Resonance. They also loved the specific property, on an east-west ridge in Yamill-Carlton, because it was dryfarmed (not irrigated) and own-rooted. (That is, old vines, not grafted rootstock.) “Those two things, we are very interested in,” says Gagey. Though small in terms of acreage, this purchase represents a big shift for the 160-year-old winery, which until now has only had acreage in Burgundy. They expect to release 2,000 to 2,500 cases of their first Oregon vintage (from 2013) in 2016. Many local winemakers are flattered by this newfound passion for Willamette Valley pinot — and think investments by well-financed outsiders are a good thing. Goodfellow, who purchases all the fruit he uses to produce 4,000 cases of wine a year, was dismayed to learn that one of his regular fruit sources — Bishop Creek Cellars — was on the market. “I’ve been producing wine from that vineyard since 2005,” he says wistfully. But underneath this upbeat acceptance of outsiders lies a barely articulated wariness. The Willamette Valley has always positioned itself as the anti-Napa. Even today, tasting fees — if they exist — are minimal. And though there are plenty of fancy LEED-certified tasting rooms, there are just as many unheated sheds or scrappy living rooms where wine lovers taste by appointment only. Most established winemakers also have a philosophical commitment to keeping bottle prices affordable. This presents a conundrum. One of the repercussions of these recent land grabs is that grape prices are through the roof. “In my 35 years in this industry, I have never seen grape prices higher than they are now,” says Kevin Chambers. And grapes from acclaimed sites like Shea Vineyards go for as much as $4,500 a ton. Though of course a boon for vineyard owners, these higher grape prices mean wineries that don’t own their own vineyards are having to scramble to find new grape sources, or pay a premium. Monroe and his wife, Kate, have felt the pinch of these price increases. Though they haven’t been directly impacted by the recent vineyard sales (yet), they have been priced out of a few of their regular fruit sources. Just four years ago, when he made his first Oregon vintage, Monroe was paying in the mid-$2,000 range per ton for pinot noir grapes. This year he’s paying well over $3,000. Despite rising grape prices, Ken Pahlow, winemaker at Walter Scott Wines in the Eola-Amity Hills, hews to a $45 per bottle threshold. “I always felt that if Russ Raney [former winemaker at Evesham Wood] — after 25 years in the business — if his most expensive wine was $44, how could I come in and charge more?” Pahlow says about Raney’s Cuvée J, which Pahlow considers to be one of the best wines in the valley. Elevating the market is a lofty goal. Elevating land prices … not so much. Peter Rosback at Sineann Winery — who purchases 100% of his grapes — says he was hurt by Kevin Chambers’ sale of Resonance Vineyard. “Kevin — he’s a friend of mine — he needed the money, but that pinot noir was really special,” says Rosback. He’s also frustrated by “California carpetbaggers” who have snapped up prime vineyards in the Willamette Valley. in a process called "pumping over." Yet overall, even Rosback thinks these investments by well-financed outsiders are a good thing. “It’s validation of what our pioneers figured out 40 years ago,” he says. This is a good outlook to have, since the acquisitions by outside winemakers show no signs of slowing down. In September California music executive Jay Boberg, chairman of digital music provider INgrooves, and Jean-Nicolas Méo of Domaine Meo-Camuzet in Burgundy bought the 13-acre Bishop Creek Cellars vineyard in Yamhill-Carlton. Bouman says a few additional high-profile French winemakers are poking around, and he’s also shown properties to Californian, Italian and even Brazilian buyers. Mike McLain at McLain & Associates Vineyard Properties in Albany confirms the interest from California and abroad, saying his phone is ringing off the hook. “We’re getting a lot of calls from all over!” he says. And yet the question remains: Can the Willamette Valley make room for these deep-pocketed newcomers while maintaining its unpretentious, laid-back vibe? Or does their arrival signal a shift in the landscape — like the entrance of a shiny new Starbucks that drives up rents and latte prices in its wake? Gone are the days when a winemaker of modest means could buy land in the Willamette Valley without significant outside investments. But if you can’t afford a vineyard — or land on which to plant one — then you’re stuck paying $3,500 a ton for pinot noir grapes … at least for a few years. People are planting like crazy right now, according to Goodfellow and others, so prices should come down in three years, when those vineyards start bearing fruit. Which brings us back to per-bottle prices. The fastest-growing segment of the wine industry is the upper end of the wine market — those that sell for $20 a bottle or more. Plenty of Oregon winemakers already charge $50 or more per bottle. 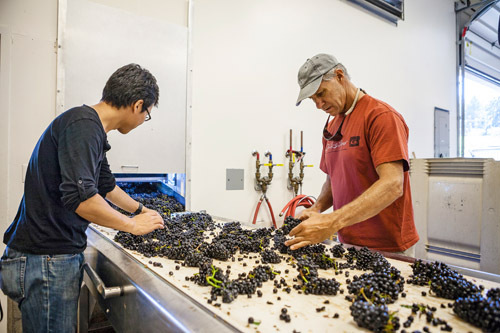 But with grape prices higher than ever — and Jackson Family Wines and other newcomers charging more per bottle — the idealistic Oregon winemakers who want to keep pinots affordable may have to rethink their strategy. Maybe, just maybe, all these changes in the valley — not to mention the continued drought in California propelling winemakers to move north — will give Oregon winemakers permission to charge a little more for their wine. That would be a boon for Oregon winemakers, if not exactly for consumers.